When Ted A. Vlamis and his wife, Betty, left their jobs in the food industry in 1978, they knew it was time to pursue their lifelong dream of starting their own company. As it turned out, they didn’t have to wait long. A year later, they heard rumblings about Sherwood Medical, a Pioneer, Ohio, medical glove and balloon manufacturer that was looking to spin-off its balloon business. The timing was perfect. Ted and Betty bought the firm and renamed it Pioneer Balloon Company. Now located in Wichita, Kansas, with Ted A. serving as president and Betty as executive vice president, the company’s “ballooning” export sales are appealing to decorator-doers worldwide. For example, the company established and continues to grow a unique, professional “balloon network” that teaches customers how to decorate with balloons and run a profitable business. Pioneer Balloon educates these firms on innovative techniques for management of employees, tax laws, costing, rent, and so on. By helping these businesses thrive, Pioneer Balloon helps sustain and grow a robust network of professional customers. The company’s latex balloons, ranging in sizes from 5 inches to 3 feet in diameter, include its popular professional Qualatex brand product line, which is heavier than traditional balloons and uses a higher grade of pigments for a deep, rich color. The firm’s less-expensive balloons, sold at retail, are lighter weight and offer more subtle colors. 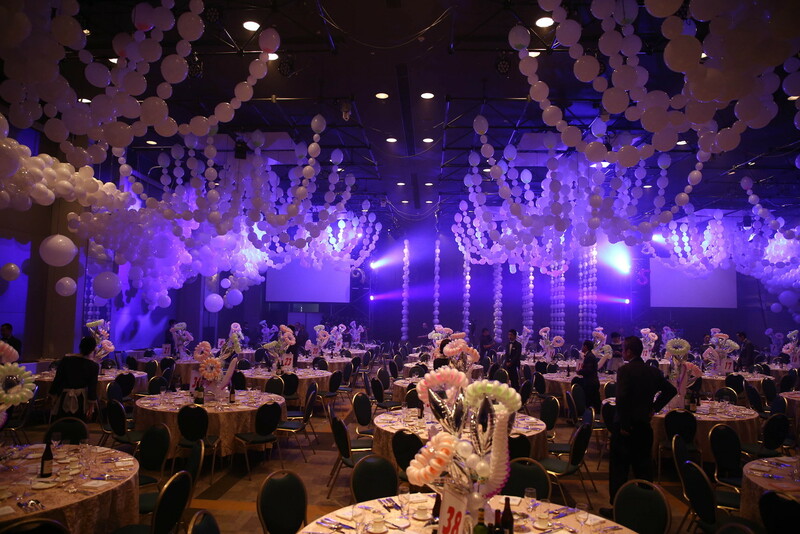 The company also makes popular foil balloons and distributes stretchy plastic balloons. And for all those would-be event planners, here’s a timely tip: Regular helium-filled latex balloons stay airborne for 18 to 24 hours, and foil balloons stay up for as long as four weeks. See you at the party. Pioneer Balloon first began exporting in the mid-1980s, making its first sales to Canada. Today, the firm sells to 100 countries, with exports growing from 35 percent of overall sales in 1997 to 50 percent of total sales today. The company stands to benefit from the Trans-Pacific Partnership (TPP) once it is enacted. By reducing or eliminating tariffs and non-tariff barriers, TPP will give U.S. businesses improved access to 11 Pacific Rim markets, collectively representing 40 percent of global GDP. For Pioneer Balloon, the TPP would immediately eliminate current tariffs of 5 percent in Malaysia and 2.8 percent in Japan, while phasing out Vietnam’s 20 percent tariff in four years. In addition, the TPP would help reduce the burdensome regulations in Japan. Putting the benefits of TPP in context, Vlamis recalls how NAFTA helped the company grow and become more competitive. NAFTA eliminated the 20 percent tariff on the company’s exports to Mexico, allowing the firm to boost sales and employment by reducing costs. Pioneer Balloon’s main U.S. production facilities in Dallas, Texas, and distribution headquarters in El Dorado, Kansas, serve as hub for its domestic and much of its export sales. The company also supplies U.S-based materials and expertise through an integrated global supply chain to its facilities in Canada, Mexico, England, and Australia that print and distribute balloons for their respective markets. Altogether, these integrated global operations support 600 jobs in the United States out of the company’s worldwide total of 1000. Along the way, Pioneer Balloon has also leveraged export expertise from the U.S. Commercial Service offices in Wichita and abroad for business matchmaking, visa information, customs clarification, and single company promotions that helped the firm enter several new markets.